This was an episode I was personally not present at, and for good reason. 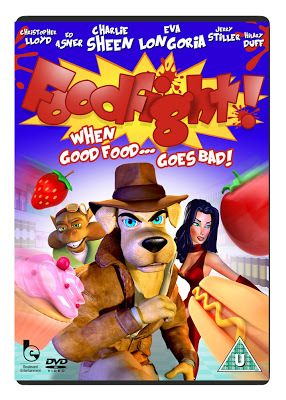 I think the reason is just in the name itself… Foodfight. But that’s ok, because my other co-host’s Jonn and Josh took on the daunting task to review this with our “internet correspondent”DaftPunkFan (because it was Daft idea to begin with, go figure). 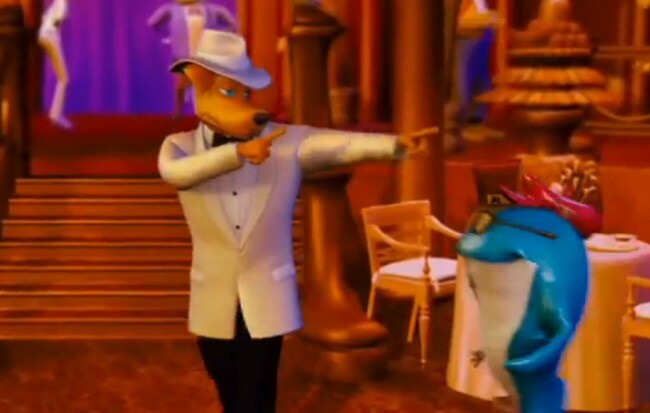 Foodfight is an interesting mess of a movie it seems, as the gang discusses how it was first formed, the financial issues involved, how ex A-List actors got attached to this film, and a lot more. As you will probably guess while listening to this episode, this is a piece of film Daft holds in high regard, as he talks about how he wants to buy every merchandise that exist for this film. Daft also gets to open up a little more to talk about his drunken frat boy stories, how he met Tommy Wiseau and other cool things that he says is cool for a hipster like him. The gang also mentions how DeMarco removes the on-air schedule from Adult Swim, how the audio is a train wreck (like the film, so it fits), shows without their laugh tracks, our ongoing thoughts about a certain online radio station, and talks about other crappy CGI movies. All this and more in this weeks episode. ED – … this was all I had to work with. This entry was posted on 08/09/2013 by zeonicfreak. It was filed under Movies, Other, Reviews and was tagged with Big Bang Theory, Charlie Sheen, Foodfight, Sisqo, Toon Radio. This movie sure does sound terrible. I just watched the trailer. I’m kinda mystified at the Hilary Duff character. Its Hilary Duff with cat ears. That was the best they could come up with? I’m also a bit shocked this was something that came out last year. You’re a better man than I for watching this one.